Microsoft is going legit with its Windows 10 upgrade notifications, and it did it just in time to still matter. 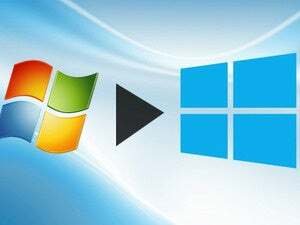 After months of embracing malware-like tricks so nasty that some fearful Windows 7 users felt forced to disable updates completely, Microsoft is backing off its sneaky Windows 10 upgrade tactics and reverting to an interface that is far clearer and doesn’t violate user trust. The company plans to update the Windows 10 upgrade notification window that Windows 7 and Windows 8.1 users see on their PCs, as first reported by ZDNet’s Mary Jo Foley late Monday. The new interface will feature three buttons with clear options, including Upgrade now, Choose time (in other words, schedule the upgrade time), or Decline free offer. Microsoft also plans to restore proper behavior to the “x” in the upper right hand corner. Instead of being treated as consent for an upgrade, clicking the “x” will simply dismiss the window, as it should be. On top of that, Microsoft says it will provide free tech support for anyone who needs help upgrading, or rolling back from Windows 10 to their previous operating system. The story behind the story: It’s great to see Microsoft responding to user complaints, but given the timing of this reversal it seems a bit hollow. Microsoft recently lost a lawsuit over its Windows 10 upgrade practices. The monetary loss from that suit was insignificant for the company, but the price it’s paying in negative publicity and user frustration is substantial. Plus, there’s only a month left in the free upgrade window anyway, and Microsoft's already pushed Windows 10 on people who use Windows 7 and 8's default automatic update settings—a highly questionable practice that's given the company a significant boost in Windows 10 adoption rate. All things considered, cleaning up its act a month before free upgrades end probably won’t cost Microsoft that much in potential user adoption, but it could go a long way to reducing user anger and frustration towards the company.